Grove Cottage is the home of Bishop's Stortford Mencap. Grove Cottage provides social and educational activities for people of all ages with learning disability: to develop their potential, avoid social isolation by supporting lifelong friendships and to provide respite for their families. BSCC is proud to continue its support of Grove Cottage and focus its fundraising activities for this leading local charity. We would like to encourage all club members, players and friends to support this season's fundraising activities. 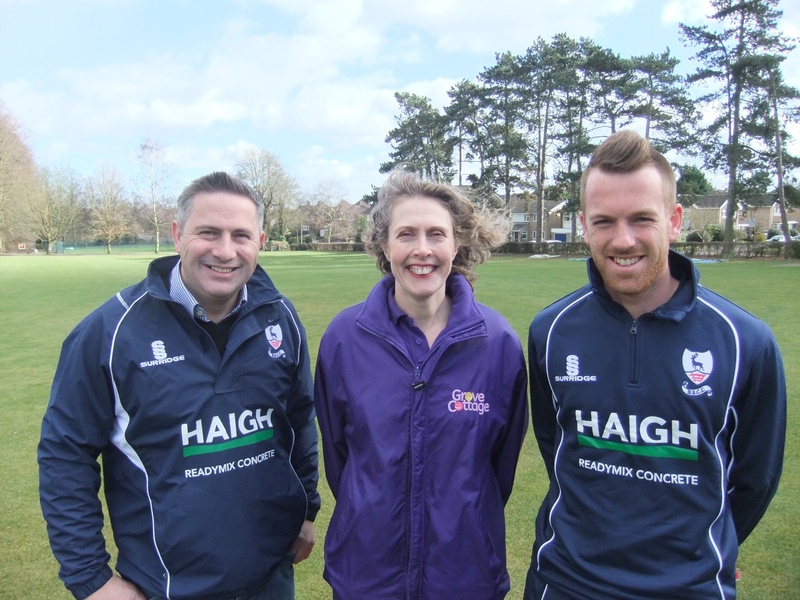 “It’s fantastic that Haigh are supporting both the Bishop's Stortford Cricket Club and Grove Cottage. It's a great example of how local business, local sports groups and charity can work together in the community. We have some really exciting plans in 2015 and look forward to getting involved and helping to arrange some great fundraising events for everyone. It costs over £200,000 per year to run Grove Cottage and we couldn’t do this without the support of the local community. Thank you to everyone at RB Haigh and Bishop's Stortford Cricket Club”.